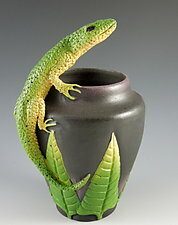 ''I want to celebrate all the wonderful living things on earth." 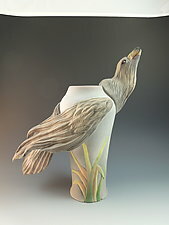 Nancy Adams has spent her artistic career perfecting her skills and paying homage to what is most sacred to her--the natural environment. 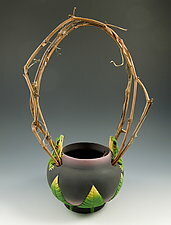 The heart of her work is the symmetry of her wheel thrown vessels. 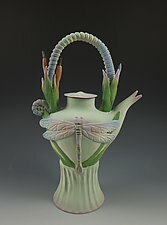 She loves the way the vessels meet the sky and the vessels look at the edges--very much like the horizon stepping into infinity. 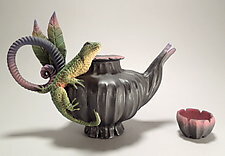 She believes this a magical place and one of transformation. 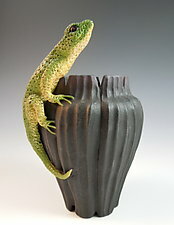 Adams prefers the quiet atmosphere of working alone in her Oregon studio. 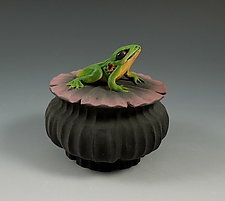 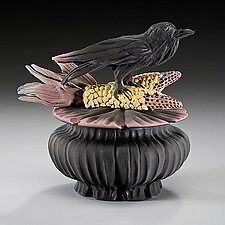 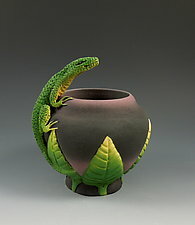 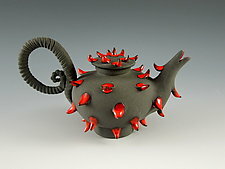 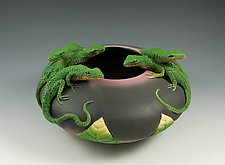 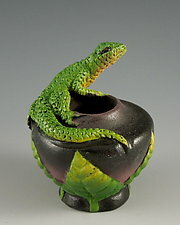 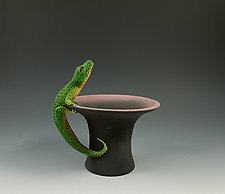 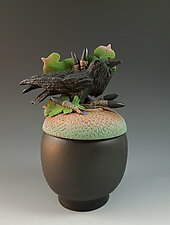 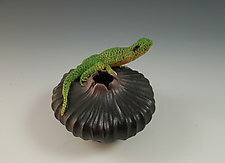 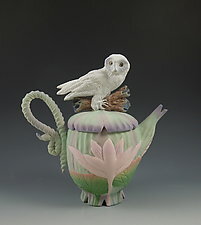 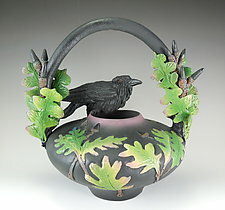 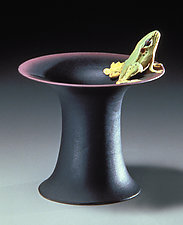 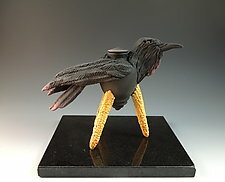 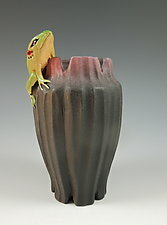 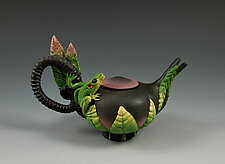 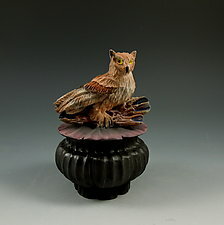 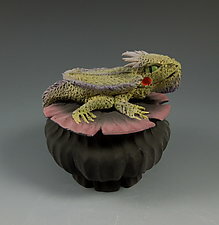 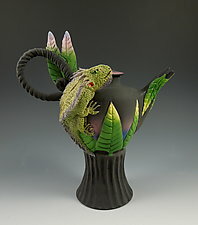 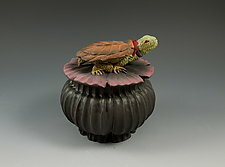 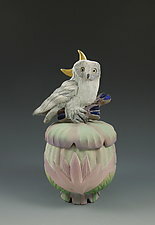 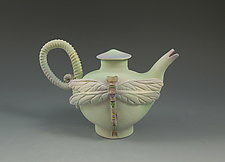 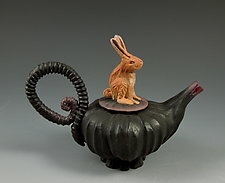 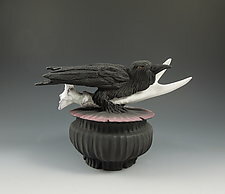 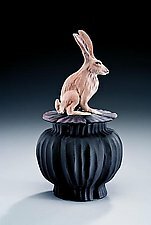 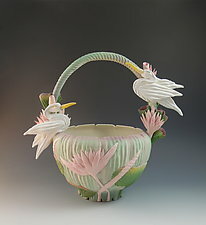 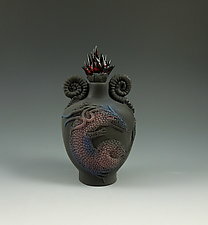 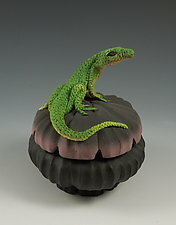 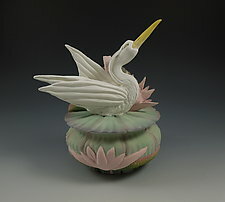 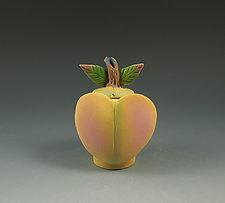 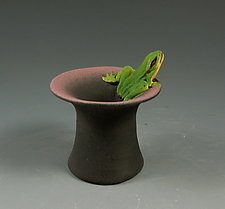 She individually throws each of her white earthenware pieces and carves motifs including a variety of flora and fauna. 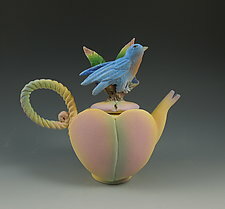 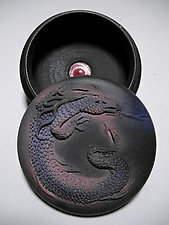 Finally, she airbrushes low fire glazes and underglazes onto the pieces in multiple coats before they are kiln-fired.